Perhaps they had seen too many cancer movies where patients are portrayed as looking awfully horrible. The more realistic movie that recently illustrated this point with some levity was the movie 50/50. The emotional component is best portrayed in the Showtime series, The Big C. Did that mean I had looked bad before? Did it mean that all cancer patients “must” look physically awful to everyone? Did it mean that our society is hung up on the superficiality of one’s looks, especially with a life threatening disease like cancer? I noticed a commonality pattern in this and it caused me to reflect more on this subject. My reaction was that it goes beyond one’s facial appearance. For me, it meant that the battle with cancer might be a physical one for the body but an emotional and mental one for the mind. I truly was glad to hear that to them I “looked” good but more important to me was that I had done the necessary “inner work” to align my mind and my body together in a united goal to get well again. That was my job to do and do alone. I was busy working on keeping up my optimistic mental attitude and gathering up all of my inner strength and fortitude to persevere. I became very determined to do whatever it took to beat my cancer. That was what I needed to do. I have read that ‘Cancer may leave your body but it may never leave your mind.’ It has been said that if we humans wore our emotional scars and wounds on our outside (rather than inside, like we do) then we would be quite disfigured and ugly in our exterior appearance. I am extremely grateful that I am “disease free” today thanks to the exceptional medical care I received during treatment. The personal victory and success I feel today is based on my own strong unwavering conviction to have been willing to persevere to overcome my cancer. In essence, the comment “You look good!” really means my attitude must have been reflected in my looks for others to see as a shining example. Figure skater Scott Hamilton won the gold medal in the 1984 Olympics. He accomplished this feat with great determination. When he was diagnosed with testicular cancer in 1997 he claims he fought his disease with the same degree of resolve. Scott Hamilton believes we are all defined by how we deal with our setbacks in life. His personal credo that he follows is: “The only true disability in life is a bad attitude.” I chose mine. I am a Stage III colon cancer survivor and a Professional Life Coach who specializes in Cancer Survivorship Coaching. 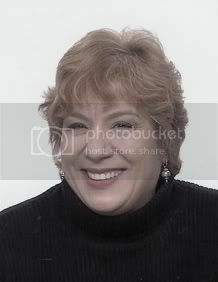 Bio – Helen H Cohen, Professional Life Coach I am very fortunate to be an over two year Stage III colon cancer survivor. I had colorectal resection surgery and completed six months of adjuvant chemotherapy. – and to re-evaluate one’s life purpose.